Lentils which are low cost and readily available are sprouted and blended with various pressure canned juices. A liter is consumed throughout the day. The mixed juices prepared during the growing season vary depending on which is selected. 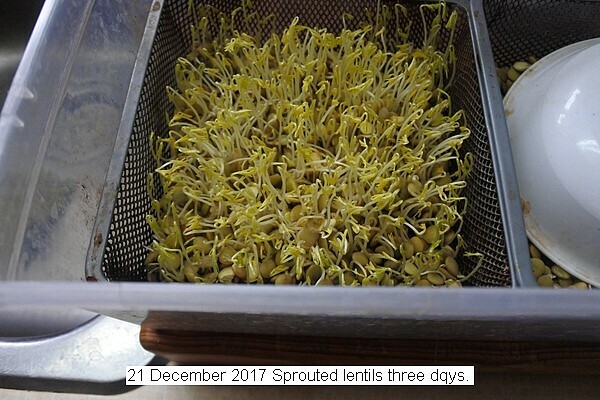 Lentils readily spout.Annotated pictures depict the process of sprouting and blending. This entry was posted in Uncategorized and tagged 21 December 2017 Lentil/Juice Blended, Juice Blended, Lentil/Juice Blended. Bookmark the permalink.